Talented flight instructors and great technology make the flying school a point of world excellence in military pilots training. Italian Air Force Flying School graduates 15 students from 3 different nations. 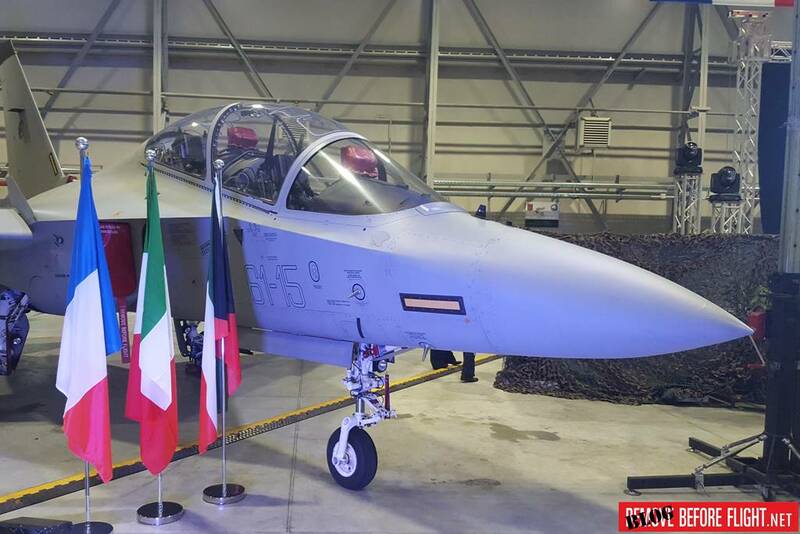 On November 20, the International Flight School of the Italian Air Force, based at the 61st Wing of Galatina, Lecce, handed the military pilot's patents to students from Italy, France and Kuwait. The event marked the end of the training phase for pilots intended for fighter jets, called "fighter track", and was held in the presence of the Undersecretary of State for Defence, Eng. Angelo Tofalo, the Chief of Staff of the Italian Air Force, Lt. Gen. Alberto Rosso, the Commander of the 61st Wing, Col. Alberto Surace, the Head of Aircraft Division of Leonardo SpA, Eng. Lucio Valerio Cioffi and senior representatives of the French Air Force and Kuwait Air Force. The authorities have expressed their pride towards the personnel of the Flying School, the high technology of Leonardo SpA and the young pilots. “Thanks to the combination of the great technology of Leonardo and the skills of our instructors, we can offer more than our allies and competitors worldwide, here is an advanced training capacity that we intend to upgrade to reach the maximum level,” said Col. Surace to the media. 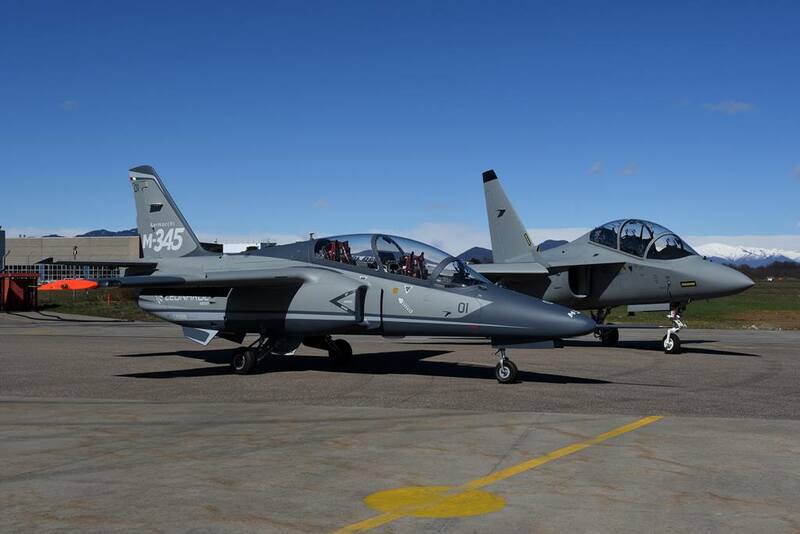 Currently the training phases are carried out on the T-339 and T-346 aircraft, but soon the Italian Air Force Flying School will take another step forward with the introduction of the new T-345 which will progressively replace the T-339 fleet. The T-345 will represent the future of the Italian Air Force, but also the nation considering that it will enter the Frecce Tricolori fleet. The new pilots will have the opportunity to test the modern Italian technology during the next and final phase, called "Lead In-to-Fighter Training", which will allow them to fly on the T-346 before being assigned to the fourth and fifth gen. fighter jets as F-35, Eurofighter, Rafale and F-15. “I had the opportunity to fly on the T-346 and pilot it for a few moments, I can say that it is an exceptional aircraft with excellent performance,” Tofalo said. Col. Surace and Lt. Gen. Rosso congratulated the new pilots for the great effort shown in all the tests and the important goal achieved. They have faces 10-month training which included 83 flying sorties, 30 days of academy and 32 at the simulator. It is the first time that the Italian flying school patents French pilots and that French are trained on Italian aircraft. It marks an important step in European cooperation in military training that is also linked to the past considering that the Italian ace of World War I, Francesco Baracca, obtained the pilot's license in France, on French aircraft, a century ago. The 61st Wing of Lecce Galatina is a flying school of long traditions, which since 1946 provides training on jets for military pilots. Today it has become an international school that hosts pilots and instructors from eight countries - Argentina, Austria, France, Greece, Kuwait, Spain, Singapore and the United States - and many other foreign air forces are interested in it. It is an Italian excellence and offers an integrated flying training system among the most advanced in the world. This training offer will be further improved thanks to the IFTS (International Flying Training School) project, which provides Leonardo's advanced technologies and Aeronautica Militare skills to guarantee a high level flight training service. Since its establishment to date, it has hosted over 8,000 students (more than 400 international), made over 1,100,000 flight hours (around 9,000 in 2018). Currently Galatina AB hosts 1,300 people and 91 students (36 international).